Andtech sells and installs both digital and analog Telephone systems. When you add Andtech’s detailed inside wiring services, you’ve got a solid dependable communications solution. When the MaBells were broken up, they left a big void in the industry for qualified Telephone services. If you have ever seen a phone room, more than likely your amazed it even works! Like so many areas this sloppy workmanship is unacceptable to us. Whether you have a Telephone System, a Voice Mail System or both, Andtech knows how to install these systems CLEANLY. We can offer solutions for your Telephone Carrier as well. As a C-7 contractor license holder, we take pride in all our installations, labeling and testing jacks is just the beginning of the detail we stand for! So if your Telephone, Voice Mail or Internet has problems, click or call us and we’ll be the answer your looking for! 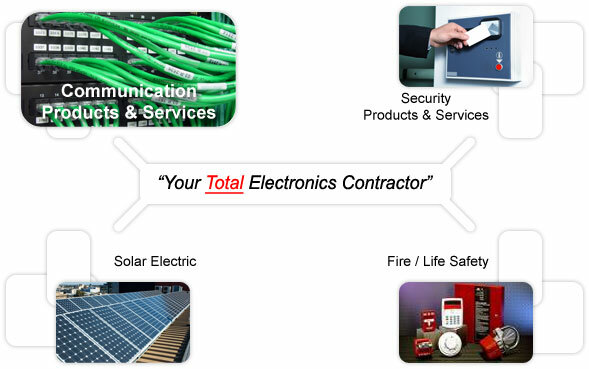 Complete wiring services are available (Voice and Data). Discounts are available when Andtech installs your Data services (network cabling) concurrently with you new Telephone System. Voice Mail Integration with Internet support. Don't let something so crucial to your operation as telephones be in the hands of non-professionals. Combine this with our voice mail services for a complete system. An Andtech Voice Mail system allows you to optimize your time in the office. Access to all mailboxes on or off the premises. Forward calls to PCS, cell phones or pagers. Save money over Telephone Company Centrex services. Have your voicemails, e-mailed to you! Take control of your Voicemail box from any PC anywhere.